I think it's more entertaining not to know what led up to this scene or what happens immediately after. 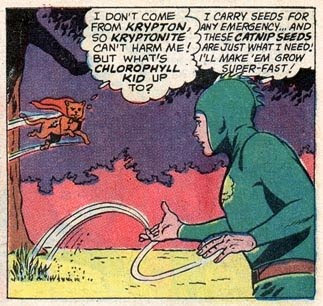 The concept of a chlorophyll kid makes me giggle. You should post these more often! I'd like to, but I don't find them very often. He wasn't very popular, it seems. I think I *am* an emergency catnip seed.